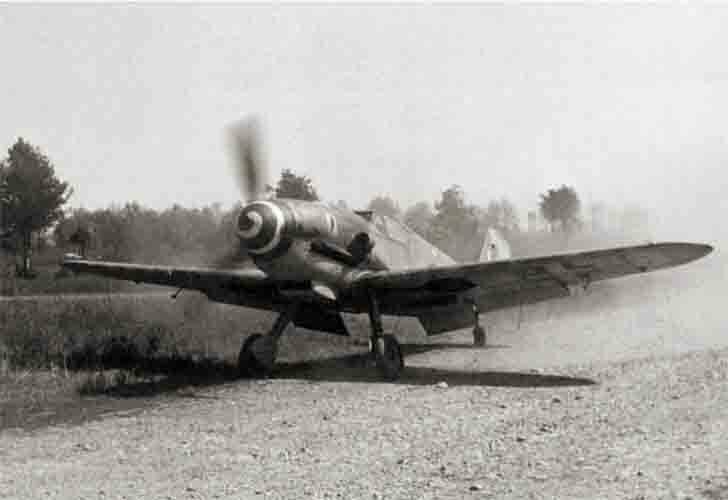 German Messerschmitt fighter Bf.109G-10/AS rolling on the runway after landing. Plane with WkN.491333 number belonged to a lieutenant Oddone Colonna, 1st Fighter Group of the Italian Air Force. Lonate Pozzolo, northern Italy. In April 1945, the Messerschmitt Bf.109G was damaged in a dogfight.